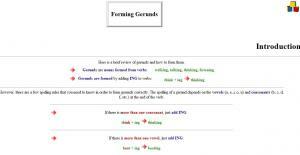 This page is to explain how to form gerunds (spelling rules). An exercise is provided with answers. 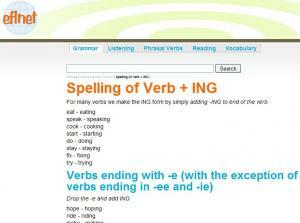 This page shows all the spelling rules of adding -ing to a verb. It is basic but very helpful for a beginner. 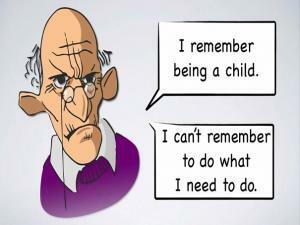 This is an excellent video lesson that explains the difference in meaning between 'remember + gerund' and 'remember + infinitive'. There are lots of examples and demonstrations to help your understanding. 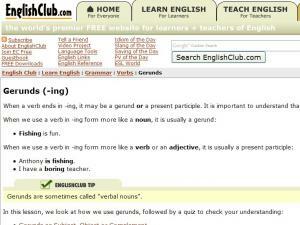 A gerund is a verb with -ing. Fishing, confusing, studying. All have -ing for a different reason. 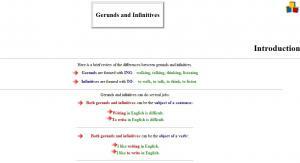 This short lesson shows the different functions of gerunds. When does a verb act like a noun? 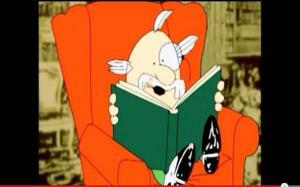 When it is a gerund! 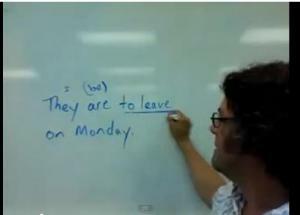 In this video lesson you will learn how to recognize gerunds as verbs or nouns, because they can be both. There are two exercises for you to complete after you watch the video. 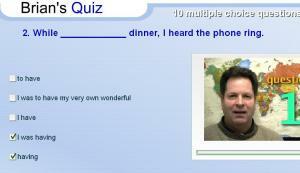 This short quiz tests your knowledge of gerunds and participles. For each question there are two correct answers. This is a good quiz to help you determine if you need to spend more study time on gerunds and participles. 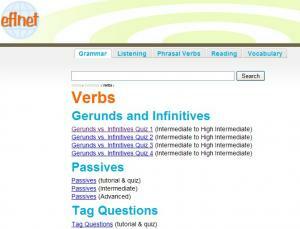 This page contains some tutorials and exercises about Gerund and Infinitives, Passives, and Tag questions. They are basic but very helpful to beginner. Infinitives and gerunds make your sentences shorter and natural-sounding, but when do you use each one? 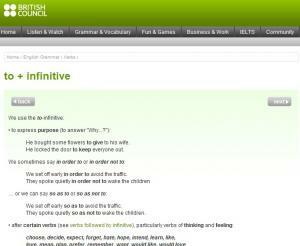 This page identifies uses of infinitives and gerunds and includes several exercises for you to practice. The exercises will tell you if you got the answers right or wrong. Certain verbs are commonly followed by To + Infinitive. Which verbs are these? You probably know some already! Read this list of verbs and take the self-checking quiz to see how much you learned! 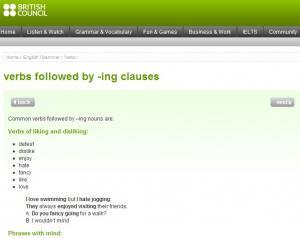 This is a list of verbs and contexts that are usually followed by -ing nouns and clauses. 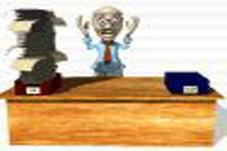 After reading the list take the self-checking quiz; rearrange the sentences to put them in correct order. 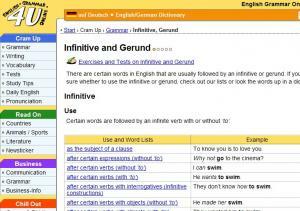 Explanation of when to use gerunds or infinitives. Clear explanation with an exercise. 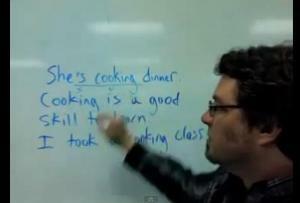 In this video grammar lesson a teacher explains how to use "ing" words as verbs, nouns or adjectives. This is essential information for any English student. 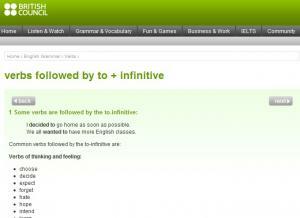 Learn the reasons and contexts in which to use "To + Infinitive" or "In order to." There's also a self-correcting quiz for you to test yourself! 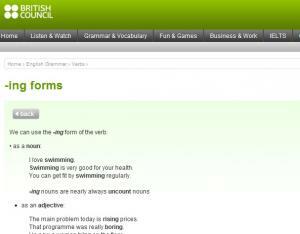 Identifying the -ing form of a verb is simple, but when to use it? This is a list of reasons and contexts in which to use the -ing form. There are several examples and a self-checking quiz for you to practice! It is a brief review of what gerunds and infinitives are, followed by a study of gerunds and infinitives as direct objects (the object of a verb). Special attention is given to the verbs TRY, STOP, FORGET, and REMEMBER and how their meanings change depending on whether they are followed by a gerund or an infinitive. What is a Participle and what is a Gerund? Watch this interesting (and fun!) 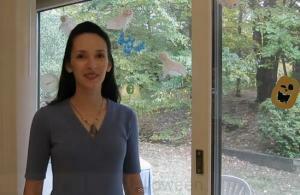 video to learn the difference between a Participle and a Gerund. There are lots of examples to test your understanding. Comprehensive resource for learning and practicing the uses of gerunds, including gerunds as subject/objects, gerunds with phrases and indirect objects, gerunds vs. infinitives and several practice activities. 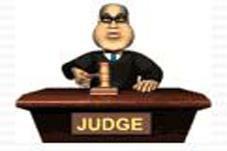 Detailed explanations and quizzes. Learn to use "be" + infinitive to talk about events to happen in the future. This usage is more formal than simply using "going to." This video lesson is simple and accurate! There are so many words that end in "-ing" ! This video lesson goes into grammatical details about -ING adjectives, nouns, gerunds, subjects and, of course, the continuous tenses. With this video you will know why there are so many -ING words! Comprehensive resource for learning and practicing use of infinitives, including expressions, commands and infinitives as subjects/objects.